I kindly received A Gift to Remember in exchange of an honest review by the publisher. 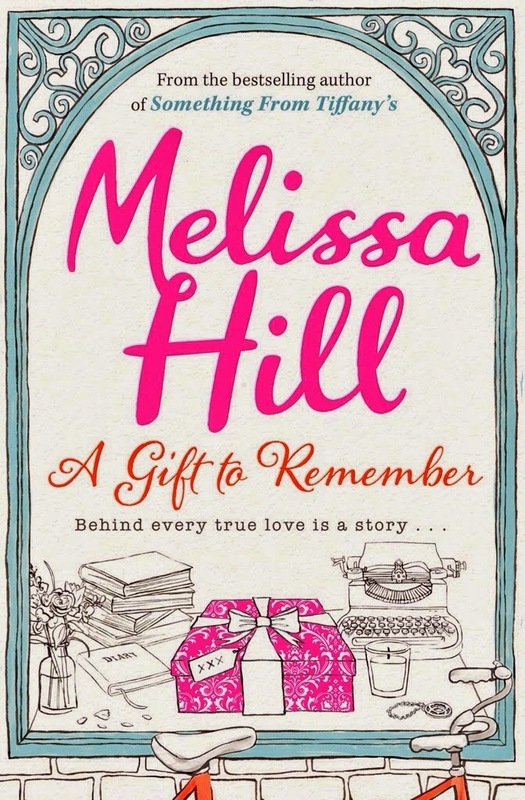 I have to admit A Gift to Remember was the first book I have read by Melissa Hill. I know I am very late to the party. If I knew how much I'll enjoy this book I'd picked it up much sooner. I can't believe what I've been missing out for so long! A heart-warming and well-written story set in New York during the run-up to Christmas. In the story we have the wonderful leading characters Darcy and Aidan. Darcy Archer is a young single woman who works in a bookstore and loves losing herself in the fantasy world of her beloved books rather than getting out into the real world and finding herself a man. Darcy's life becomes more busy from the day she knocks Aidan Harris off of his feet, literally. With her bike Darcy runs into him and he ends up in hospital. At the place of accident Aidans dog and an expensive looking gift that he was carrying are left behind. Feeling guilty, Darcy picks up his dog and the gift. Somehow Darcy manges to track him down to his hospital bed where she finds out he didn't just get a bump to the head - he has lost all memory of who he is. Now, Darcy makes herself the task to solve Aidan's mystery and put every piece of his life together. The more she finds out about Aidan the more she thinks if he might could be the one? I started reading this novel in a time were I was very busy and only could read a few chapters a day. Every time I picked it up, it felt like coming home because it gave me the ultimative good feel factor and made me happy. Within the first couple of pages I fell head over heels for the storyline and Melissa Hills writing. It's truly magical. I couldn’t find any negative points to this book. I adored it from the first to the last page. It is everything I look for in a great easy chick-lit style read. What I enjoy about the story was the references to New York itself. New York is one of those places you always dream of going, dream of falling in love, being fabulous and taking the city by storm, your typical teenage dream, now being a twenty something myself I'd just like to see the city for its beauty. What I also thoroughly enjoyed about this novel is how each chapter from Darcy's point of view started with a literary quote relevant to her situation. such as, "Money can't buy happiness but it can buy books, which is kind of the same thing". I don’t want to say much more because I want everybody to pick up a copy of this book and enjoy it as much as I did. I can't wait to read more books by Melissa Hill. I'm more than honoured the be a owner of a signed copy of this book. Thank you so much Simon & Schuster UK and S.V.J.